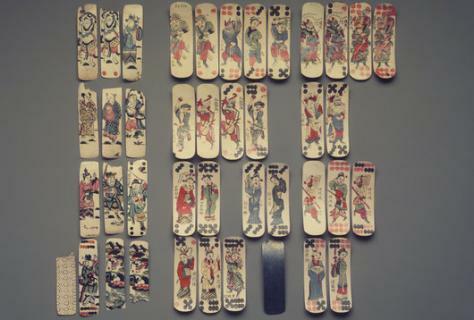 The Smart Museum of Art's Performing Images: Opera in Chinese Visual Culture (February 13-June 15) features nearly eighty remarkable objects. Above: Fan Painting with Peking Opera Scene (Tiger), 19th century, Folding fan mounted as album leaf, ink and colors on gold paper. Courtesy Museum of Fine Arts, Boston. Court Theatre presents the Tony Award-winning M. Butterfly (May 8–June 8) by playwright David Henry Hwang (left), directed by Charles Newell (right), Court Theatre's Artistic Director. The Chinese Fine Arts Society presents the concert The Five Elements Project: Water on April 27, 3pm, at the Logan Center. Above: Yang Wei and Xiao Dong, photo by Michael Boyd. Romance of the Western Chamber (above) is just one of the rare films the Film Studies Center will screen in the Chinese Opera Film Series, (March 7, April 6, May 3 and 16). Image © 2009 EYE / photo D.W.B. van Maarseveen. The Logan Center presents A Night at the Peking Opera (April 12, 7:30 pm), featuring the Chicago premiere of opera star Ling Ke and the Tianjin Peking Opera Company. Above: Scene from A Dragon Flirts with a Phoenix, photo courtesy of the Tianjin Peking Opera Company. Logan Center Exhibitions presents several works by contemporary Chinese artist Yang Fudong in an exhibition curated by UChicago professor Wu Hung. Above: Yang Fudong, still from East of Que Village (Dog), 2007, B & W, 6 screen installation, High definition, 20 minutes 50 seconds. Courtesy the artist and Marian Goodman Gallery, New York / Paris. Chicago's Third Coast Percussion will play multiple times during the course of the festival, including concerts at the Logan Center on February 15, 8 pm, with UChicago's New Music Ensemble, and on February 21, 7:30 pm. Image © University of Notre Dame's DeBartolo Performing Arts Center. Photo by Kirk Richard Smith. 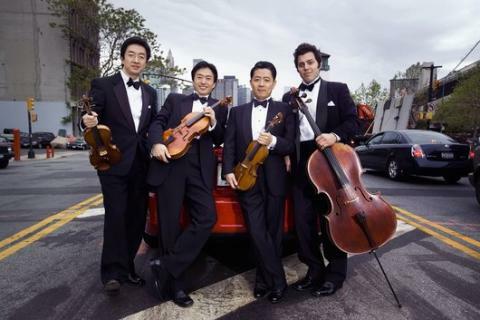 The University of Chicago Presents brings the renowned Shanghai Quartet to Mandel Hall on May 2, 7:30 pm. Photo by Bard Martin. UChicago Arts presents Envisioning China, a festival of arts and culture at the University of Chicago featuring more than 40 events and exhibitions. From February to June 2014, explore the depths of China’s cultural legacy through never-before-exhibited paintings, rarely seen films, engaging talks, and magnificent performances by acclaimed artists, musicians, and more.